One of the most versatile pieces of home gym equipment you can own. These exercise balls are great for yoga, pilates, or even work great to replace your office desk chair. Anti-Burst tested to sustain a 2CM cut and 600 LBS. 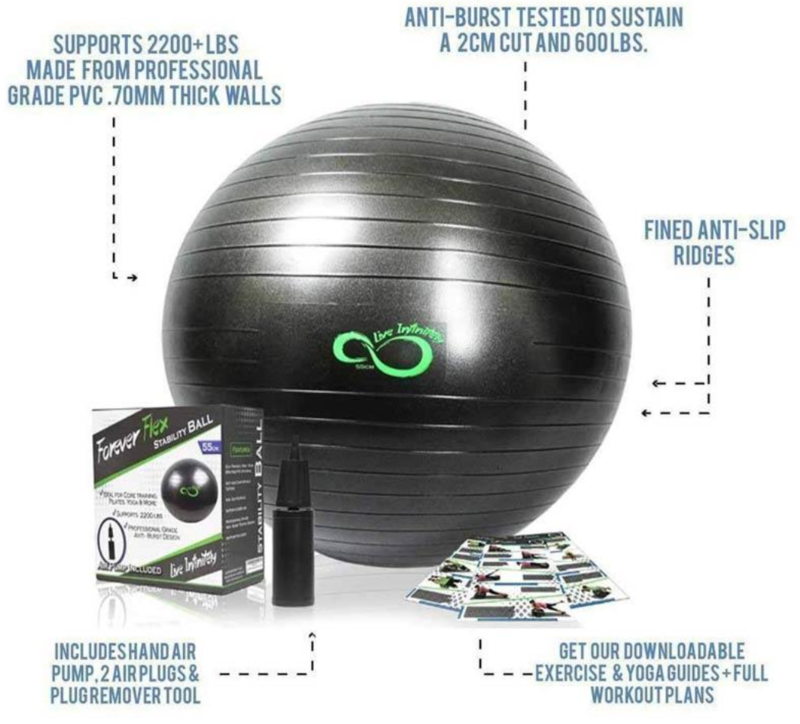 Designed to withstand daily professional gym abuse The exercise ball that you need depends on a few things - your height, leg length, and purpose of the ball. The correct size exercise ball will allow for a 90-degree angle at your knees and your thighs to parallel the floor while sitting on top. Shorter than 4' 2" - 45cm 4' 2" - 5' 6" - 55cm 5' 7" - 5' 11" - 65cm 6' 0" - 6' 4" - 75cm 6' 4" - 6' 9" - 85cm Taller than 6' 9" - 95cm Please note: If the ball is the be used as a desk chair replacement desk height is an important consideration. 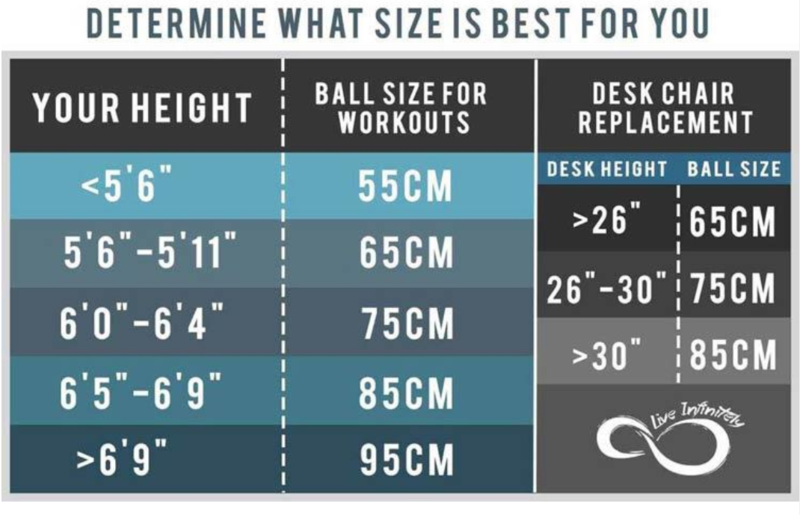 Most standard computer or office desks will be most comfortable with the 75cm ball.